SailAhead’s 2nd Annual Event from Tacoma Yacht Club in Washington State took place on June 30. 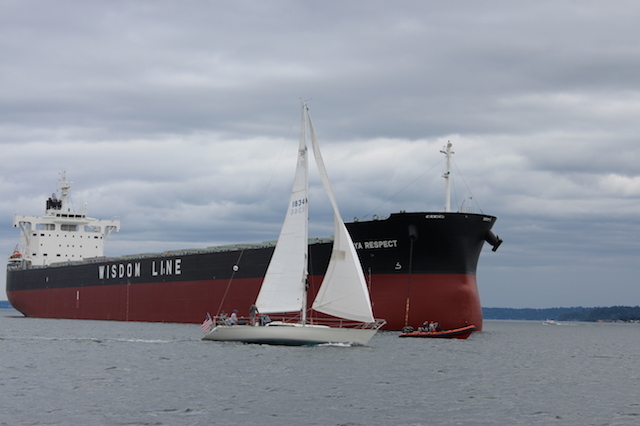 Twenty boats took 140 guests sailing on the Puget Sound. This is home to many Army rangers, active and retired, because a Ranger Battalion is based in Tacoma at Joint Base Lewis-McChord. A SailAhead Mate is a service member past or present that has committed suicide. After an eventful sail on June 30 in 15-20 knots of breeze, several veterans pledged that they “will not become a SailAhead Mate” showing the true healing powers of sailing and community. SailAhead’s mission is to honor our veterans, spread awareness about PTS(d) and veteran suicide, as well as connect local veteran and active ranger community with the sailing community.